Generously donated by the author, this is a presentation copy to his parents of his first book: "to Dad & Mum with love from Julian 1980." 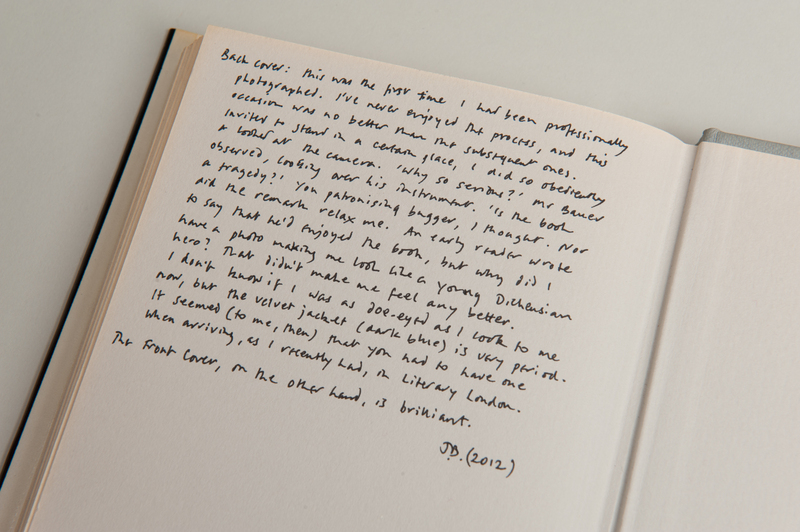 Laid in is a contemporary one-page autograph letter from the author to his parents. A number of cuttings of contemporary reviews of the book are loosely inserted. 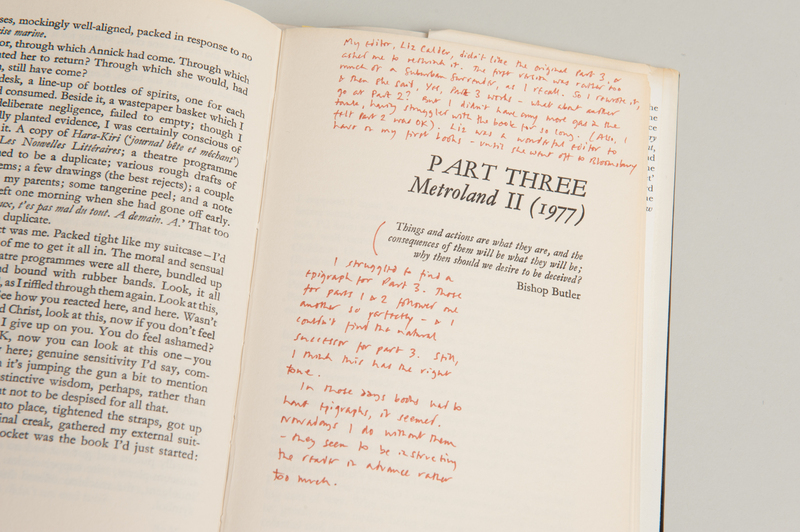 Julian Barnes notes on the endpaper that the book was "Annotated July 2007 for the benefit of PEN* Julian Barnes * who finally got around to organising the sale in 2013 (which allowed me time for a few more minor, emendations)"
His first and most autobiographical novel, Metroland traces its hero from early reaction against suburban life, through a coming of age period in Paris, then back to London to find himself, ironically, happily married and settled in just the bourgeois life he had previously scorned. Winner of the 1981 Somerset Maugham Award for a first novel. 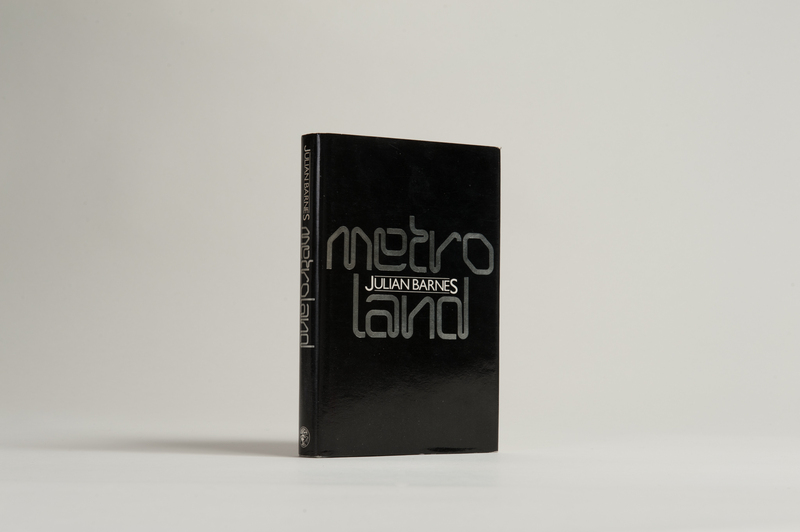 Adrian Hodges wrote the screenplay for the 1997 film Metroland, directed by Philip Saville, and starring Christian Bale and Emily Watson. I think there is little boredom to equal adolescent boredom. A child doesn’t really understand boredom, an adult knows how to escape or bypass it; but an adolescent both understands it and is unable to do anything about it. The suburban Sunday was the quintessence of adolescent boredom for me.